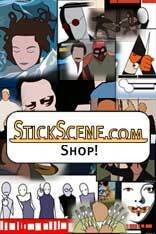 Weclome to StickScene.com , the stickman movie poster game! Would you like to start playing from puzzle 1? Perhaps you would like to play a random puzzle?